The 2016 Volvo XC90 is all new with three different trim levels, each equipped with impressive safety and technology wrapped in Volvo’s classic Scandinavian design. Volvo's new XC90 flagship offers both front-wheel drive and all-wheel drive options as well as two gas engine choices and a hybrid to suit a variety of customers. 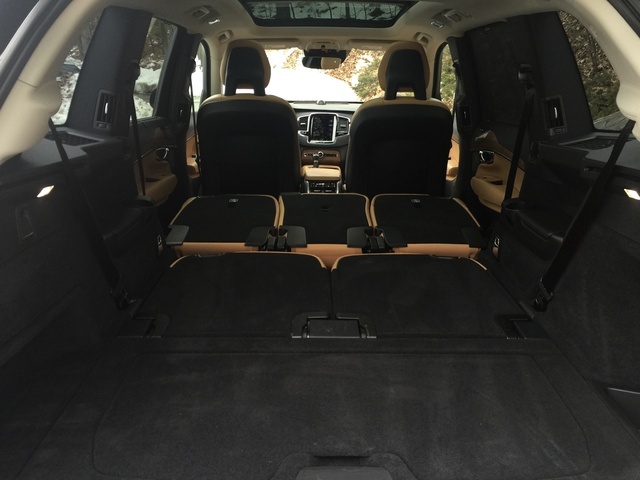 A luxury interior with seating options for either 5 or 7 passengers with room for cargo makes it a solid option in a full-size SUV. The new XC90's styling is top-notch with materials that look and feel good. Volvo isn’t a flashy brand, but that doesn’t mean it fails to deliver a luxury experience here. There are soft leathers and beautiful woods that create a muted and relaxing interior. It fools you by looking like just another nicely styled SUV on the outside. Inside, it’s something exceptional. Your trim choices start with the base Momentum and move up to the Inscription and the performance-focused R-Design. The base engine found in all T5 designated models is a turbocharged 2.0-liter 4-cylinder, which powers both front-wheel-drive (FWD) and all-wheel-drive (AWD) variants and is paired with an 8-speed automatic transmission. Take a step up to the T6 models and you get a more powerful turbocharged and supercharged 2.0-liter instead. Those looking for the ultimate in fuel efficiency have a T8 plug-in hybrid option. Even in the base T5 Momentum, the Volvo XC90 is a well-equipped and very luxurious car with quite a few standard features not usually found in base trims. As you’d imagine, safety figures in prominently, with LED daytime running lights, a driver’s knee airbag, electronic stability control, and seatbelts with pretensioners standard in every XC90. The XC90 also has lane-departure warnings, road-sign information, roll stability control, collision avoidance with pedestrian and cyclist detection and avoidance, and driver alert all standard. Volvo’s commitment to safety shines through with features that would be expensive options on many cars instead included on every trim. Those who want additional safety measures can opt for several surprisingly affordable packages that add both comfort and safety. The Momentum Plus package ($1,900) adds LED headlights with active bending, headlight high-pressure cleaning, and interior embellishments like wood inlays and illuminated tread plates. The Vision Package ($1,800) gives you blind-spot information and cross-traffic alerts, a 360-degree surround-view camera, an auto-dimming rear-view mirror, and retractable side mirrors. The Climate Package ($1,050) adds heated rear seats, a heated steering wheel, heated windshield, and heated windshield-washer nozzles, while the Convenience Package ($1,800) adds park-assist pilot, front park assist, adaptive cruise control, lane-keeping aid, and a HomeLink remote garage door opener. Lastly, the R-Design Climate Package ($800), which is available only on the R-Design trim, adds heated rear seats, a heated windshield, and heated windshield-washer nozzles for those who live in colder climes. The T5 offers seating for 5 passengers and is the only way to get FWD. Both the T6 and T8 come with AWD only and add a third row of seats with room for two more people. Moving up a step not only gets you a more powerful engine, it gets you more passenger capacity, so it’s a significant change. This is a luxury car, so even the base version comes with serious creature comforts. It has 10-way power-adjustable front seats with lumbar, optional or standard heated front and rear seats, seat-cushion extenders to accommodate drivers with particularly long or short legs, and power side bolsters on the Inscription trim. Everyone stays comfortable with either 2- or 4-zone electronic climate control, and a panoramic moonroof with power sunshade lets in plenty of light. It’s a plush interior to say the least. 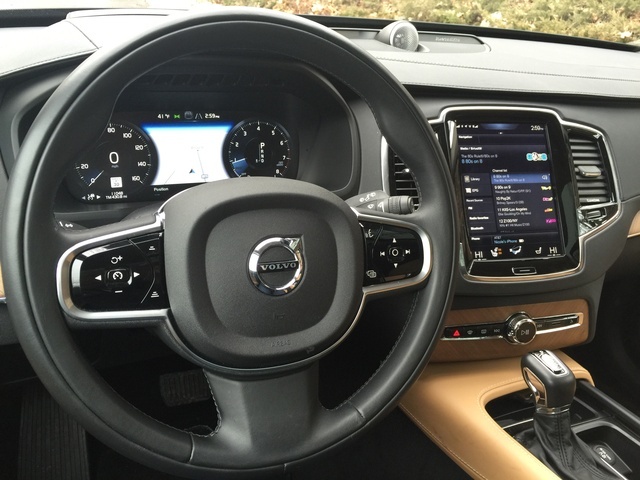 The level of technology in the XC90 is impressive. A large center display touchscreen lets you easily swipe from menu to menu just like you would on a tablet. It controls everything from the infotainment to the seats to all the safety features, and it does so without becoming distracting. Standard audio includes a 6-channel amplifier that sends 330 watts to 10 speakers. Upgrade to a Bowers & Wilkins Surround Sound system for a 12-channel amplifier with 1,400 watts and 19 speakers that will make you feel like you’re sitting in a concert hall. The all-new Volvo XC90 doesn’t cut any corners, delivering on all fronts from infotainment to comfort to elegant and luxurious styling. Pricing starts at $43,950 and tops out at $71,600 for the T8 Plug-In Hybrid Inscription. The wide range of pricing and options means there’s likely a model that has just the features you want within your budget. There are three engine options for the Volvo XC90, with two gas models and one hybrid option. The base gas model is a turbocharged 2.0-liter 4-cylinder with 250 hp and 258 lb-ft of torque. The more powerful option is a supercharged and turbocharged 2.0-liter 4-cylinder that has 316 hp and 295 lb-ft of torque. Those opting for the hybrid get a 400-hp direct-injected turbocharged and supercharged engine with 472 lb-ft of torque. All are paired to an 8-speed automatic transmission that comes with paddle shifters on the R-Design. Our test model, the T6 AWD Inscription, proved to be more powerful than its unassuming exterior would have you believe. Pressing on the accelerator yields a quick response, with the XC90 seamlessly accelerating into heavy highway traffic. It's just as responsive at higher speeds when a quick burst is needed for passing or changing lanes. This is a 7-passenger SUV that moves. Adjustable driving modes can be changed through a center console button with choices of Comfort, Eco, Dynamic, Off-Road, and Individual. They perform as expected, with Eco dulling responsiveness, Dynamic enhancing it, and Comfort providing that happy medium most people will enjoy as the default setting. Should you choose, you can customize settings for the Individual mode or switch to Off-Road for more adventurous trips. The start/stop function is one of the smoothest we’ve experienced, with no noticeable shudder. The only way you’ll know the engine is off is if you happen to notice the disappearance of the engine sound. This is harder than you might think, because engine noise is so well muted. The cabin is truly an escape, with road, wind, and engine noise all kept at bay. Even poor weather with heavy wind and rain was kept outside the windows, never interfering with conversation in the car. Despite its size, the XC90 exhibits car-like handling with superb steering that provides good feedback and makes the car respond more quickly than its size would suggest. Braking is also solid with no noticeable nosedive. Body roll is minimized and only barely makes a presence in the tightest corners. Driving the XC90 is at all times effortless and enjoyable. Fuel economy of 20 mpg city/25 highway is good for its size, although premium fuel is recommended, but there’s always that hybrid option for those who put a priority on fuel efficiency. The average SUV is not always a comfortable place to spend a lot of time. 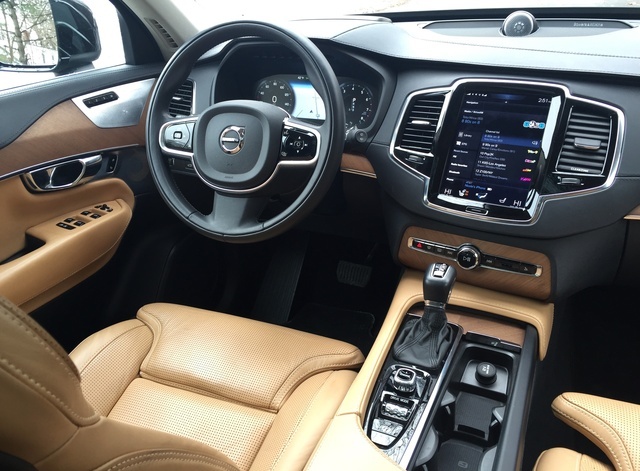 The XC90 flies in the face of this notion with an interior that is beautiful to look at, lovely to touch, and comfortable for even the longest of drives. 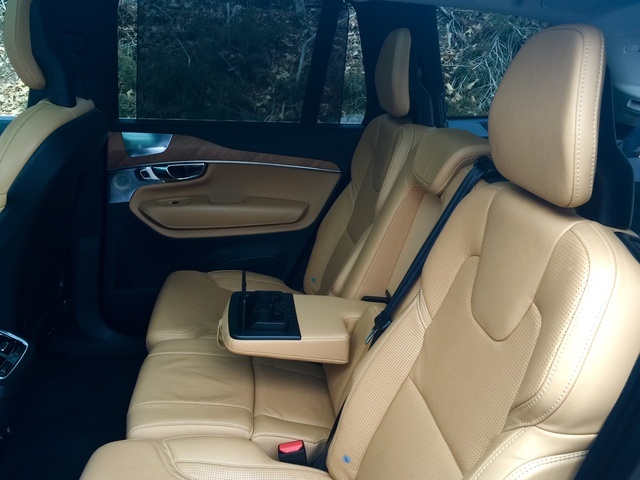 Leather seating surfaces are rich and soft, with 10-way adjustable front seats that include lumbar adjustment, a thigh extender, and adjustable bolstering. The bolstering is always mild no matter how you set it, but the lumbar support goes from soft to so hard you’d swear you’re sitting at attention and ready for a military review. Those with bad backs will love the lumbar support. Equally fantastic is the thigh extender, which comes into play for those who are very short or very tall. It's long enough to support long legs or retractable enough that short legs don’t get cut off at the knee. The shape of the thigh extender in the XC90 is very nice; sometimes those are thick at the edge, making it awkward to find comfortable positioning, but this one is perfectly sized. All three rows are comfortable for adults, but the third row is on the tight side. It’s still better than what you’ll find in most three-row SUVs, but it’s best for kids or smaller adults. What’s great about the third row is that it’s not an afterthought. It’s just as plush and nicely styled as the rest of the car, rather than clearly having been forgotten and ignored by designers. Controls are well planned, with everything in easy reach and logically placed. The Sensus 9-inch color touchscreen is the focus of the dashboard and controls just about everything. It won’t force you to take off your gloves, and the touch sensitivity is on par with that of a tablet. Presented with a big touchscreen, some people might feel momentarily intimidated. High-tech infotainment systems often include high frustration, but this one is easy. It's so intuitive, with swiping just like a tablet, that it takes no time at all to understand how it works and to not have to really think about what you want to do. It puts other systems to shame with its simplicity and its style. Those who will be carrying cargo rather than people will like the standard aluminum roof rails, power tailgate, and hidden storage through a hatch located in the floor behind the third row. The XC90 offers 15.8 cubic feet behind the third row, 41.8 cubic feet behind the second row, and a total of 85.7 cubic feet overall for cargo. The XC90 can also tow up to 5,000 pounds when properly equipped. There is plenty of tech in the XC90, starting with a Sensus 9-inch touchscreen that's the focal point of the dashboard. It’s big, and it might at first seem like too much, but it turns out to be just right. Imagine how easy it is to use a tablet. You don’t have to think about it, because the motions are all intuitive. The same is true for the Sensus. Swipe left or right, scroll up or down, and tap on what you want to see. There’s no need to keep digging through endless menus with the Sensus. The screen’s size combined with its ease of use make it more simple than what you’ll find in most cars. You can even use it with your gloves on, so your hands can stay warm when the weather is cold. There are backup controls for select functions like audio on the steering wheel and one solitary knob at the bottom of the screen if that’s your preference. A built-in hotspot makes sure you’re constantly connected, and optional Apple CarPlay lets you seamlessly access your phone. It’s tempting to pick up that little device when you’re driving, but having everything accessible on that big 9-inch screen removes the temptations of distracted driving altogether. A head-up display lets you adjust not only the positioning of the display, so tall and short drivers can see it, but colors and brightness. It includes your speed as well as the posted speed, a nice touch and one that will likely help you avoid a ticket when the speed limit drops unexpectedly on unfamiliar roads. It also shows navigation and incoming calls, keeping the information displayed small enough that it never interferes with your view of the road. An odd distraction in a car so focused on modern technology is the XC90's single USB port. Despite having room for 7 people, only one person gets to use that USB, which seems like an oversight. There should be at least two up front and at least one for second-row passengers, too. The base 330-watt audio system includes 10 speakers, but you can improve your music experience with the Bowers & Wilkins premium audio system. It’s a pricey option at $2,500, but it’s worth it for audiophiles. It has 19 Bowers and Wilkins speakers including a round, pod-like speaker on the dash that adds visual interest, a 12-channel Harman 1,400-watt amplifier, and a CD/DVD player. The Volvo brand is practically synonymous with safety, so it shouldn’t be a surprise that the XC90 comes with an abundance of standard safety features. The company is billing this as the safest Volvo ever, and once you take a look at what the car includes, that claim makes sense. Let’s start with the standard safety features. This includes things like antilock brakes with electronic brakeforce distribution, LED daytime running lights, a suite of airbags, seatbelt pretensioners, tire pressure monitoring, whiplash protection, and electronic stability control. Next up are the driver-assistance features, which is where things become decidedly futuristic. Standard on every XC90 is collision avoidance with pedestrian and cyclist detection and avoidance, driver alert, lane-departure warnings, road-sign information, and roll stability control. 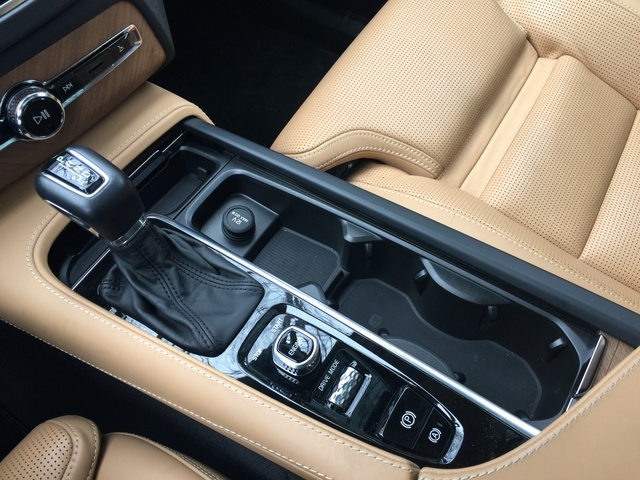 These are features that are either not available or costly options in other cars, but they’re standard on the XC90. Optional safety features available include a 360-degree surround-view camera, adaptive cruise control with pilot assist, blind-spot information with cross-traffic alerts, front park assist, lane-keeping aid, and park-assist pilot. If you’re looking for a safe car, Volvo has you covered. Knowing you have all that technology to back you up and the solidness of the car should make any driver or passenger feel safe in the XC90. Between its handling and luxury styling, you’ll have a sense that the XC90 is a secure way to get you and your family to their destination. Although not crash tested by the government at the time of this review, the Insurance Institute for Highway Safety awarded its top rating of Good in every category and named the XC90 a 2016 Top Safety Pick+. You are paying a premium for the XC90 with a starting price of $43,950. It’s not an inexpensive car, but then it’s not an econobox either. This is a luxury 7-passenger SUV, and it lives up to that expectation. 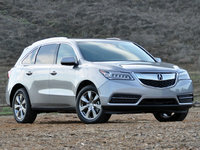 It’s also priced in line with competitive cars like the Acura MDX, but has a nicer interior. It boasts great fuel economy with EPA estimates that put it ahead of competitors at 20 mpg city/25 highway. My average during a week of mixed highway and city driving was 21 mpg, so it looks like those numbers are going to be easy to meet in the real world. The XC90 won’t have you stopping at the pump every day, but when it does, you’ll have to put premium fuel in the tank, which is a drawback. The 2016 Volvo XC90 has been scooping up awards and accolades from all corners. The list includes North American Truck/Utility of the Year and 2016 Motor Trend SUV of the Year, giving this all-new car some serious kudos. This makes it very competitive within its segment and gives it a leg up on the other guys. Warranty coverage includes 4 years/50,000 miles of limited warranty coverage, 4 years/50,000 miles for the battery, 5 years/unlimited mileage for seat belts, 12 years/unlimited mileage for corrosion protection, and 3 years/36,000 miles of factory scheduled maintenance. 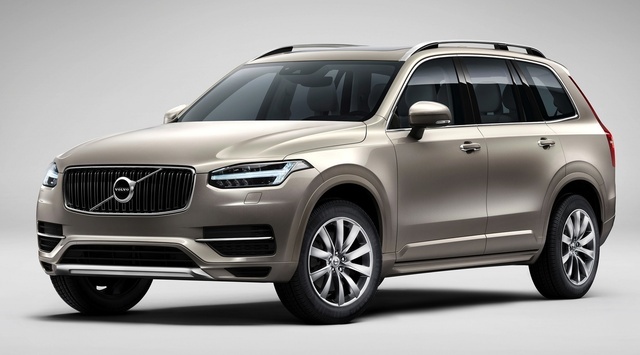 What's your take on the 2016 Volvo XC90? Konst It seems several thing are upgraded in the MY2017, as usual on new models. For exemple the 2th USB port, and more. 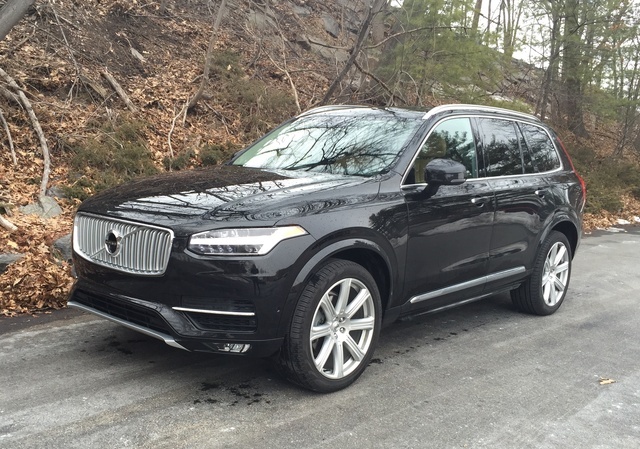 Users ranked 2016 Volvo XC90 against other cars which they drove/owned. Each ranking was based on 9 categories. Here is the summary of top rankings. 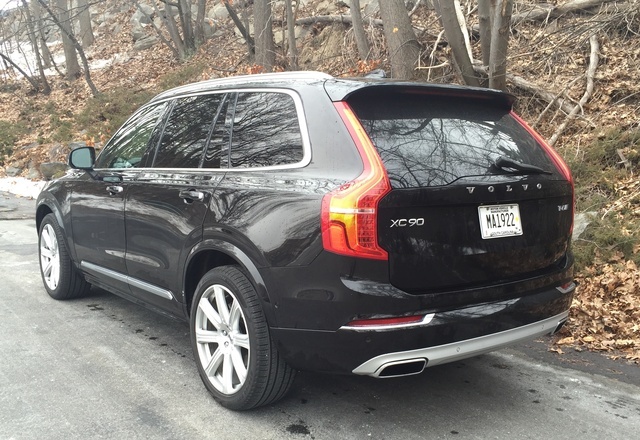 Have you driven a 2016 Volvo XC90? Engine is being replaced on my 2016 Volvo XC90 while under warranty, does my warranty start over back at zero miles because it's a new engine?